Welsh Springer Spaniel Club of America. 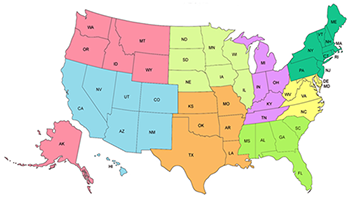 Click your desired region/state to find breeders in your area of interest. Breeders are listed alphabetically within each region. Canada is listed as a single region. WSSCA Club Member breeders will be included on the Breeder Referral pages only by specific request from the breeder. Breeder must be a "Member In Good Standing" of the WSSCA. Club Member must have been a member of the Welsh Springer Spaniel Club of America, Inc. a minimum of two consecutive years and must agree the Clubs "Code of Ethics" to be considered a Member In Good Standing. Living within the 50 US states, the District of Columbia or Canada. Information needed to be included in the Breeder Referral Listing. Length of time a member of WSSCA.